TNW Conference is designed for networking. We’ve created a huge tech festival so that like-minded people can get together, start a business, and come up with new ideas. The possibilities are limitless. With just a few weeks to go, we’re working hard to get everything in place. Last year’s live streaming of the conference was a huge hit, and we’re bringing it back. In partnership with LiveU, we’re going to broadcast speakers on stage and conduct interviews with leaders of the industry. If you’re an introvert, don’t sweat it — watch the live stream from the comfort of your home. Here’s the thing — it wouldn’t be TNW Conference without some extra excitement. To make sure that you get the most out of networking, LiveU is looking for attendees for an exclusive interview, hosted by The Innovation Station’s Johan Schaap and produced by Stream My Event. You can talk about your latest projects, company potential, or your personal problems. We won’t judge — but I mean, we’ll obviously be judging your application. You can apply right here. So what’s in it for you? The interview will be broadcasted on our live stream, which thousands of people will be watching. Putting your message out into the world will increase your exposure and your likelihood of success. For TNW Conference, getting to know our attendees is always a perk. You’ll also receive a free conference ticket. 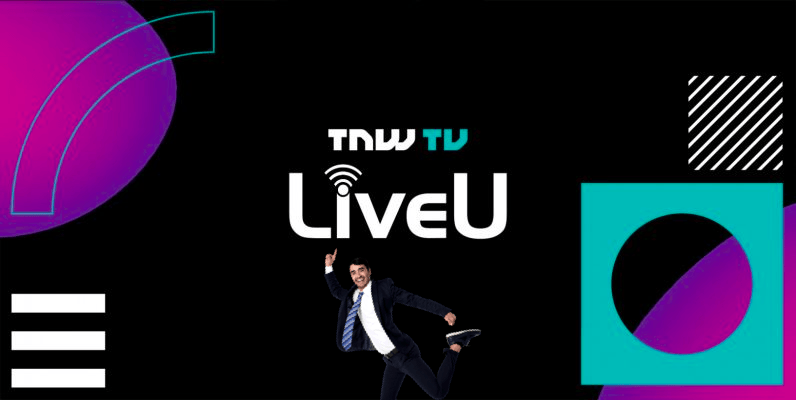 If you’re interested in a live stream interview at TNW2018, be sure to apply now. LiveU’s and The Innovation Station’s media crew will also be roaming the conference grounds to get the latest scoop. Even if you don’t win the live stream competition, you may still be asked a few questions if they pass by, so make sure to keep an eye out. We’ll see you at TNW Conference in just a few weeks. Drop by TNW TV, our media tent. Live interviews will be hosted there throughout the day, so come say hi. For now, we’re busy making sure that TNW2018 will be the best one yet. See you there.